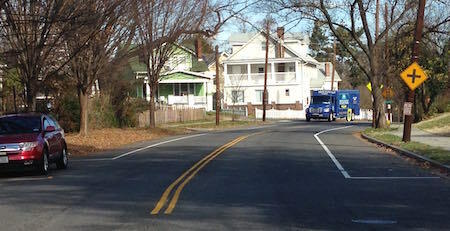 In October of 2013, a speeding driver struck All Walks DC board member Kelly Dillon outside her house on Arkansas Avenue NW. The driver rammed into the vehicle parked behind Kelly’s own car on Arkansas Avenue as she was loading it. The impact pushed the hit car forward, pinning Kelly’s leg against her own car’s bumper and crushing her knee. Kelly went straight to the hospital for an emergency operation to save her leg from amputation, and was in the hospital for five weeks. Neighbors and friends agreed they frequently felt very unsafe walking along or crossing the street due to high speed driving. So they organized and 100% of neighbors reached who live along Arkansas Avenue signed a petition for traffic calming. 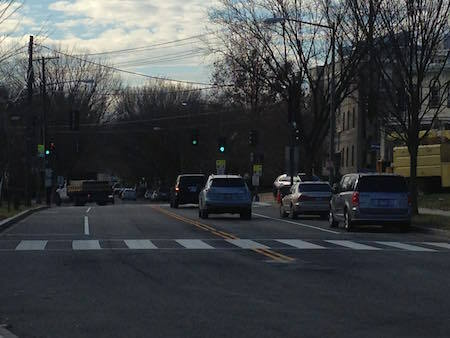 DDOT agreed to study the corridor and installed small measures such as high visibility crosswalks, but meanwhile, many high speed crashes and near misses continued. 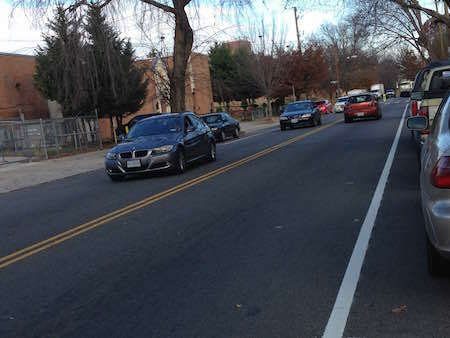 In late 2014, after continued pressure by neighbors and All Walks DC, DDOT agreed to remove the rush hour lane on Arkansas Avenue, which had contributed to speeding and risky high speed maneuvers. Neighbors report that it is now much easier and safer to cross the street to reach home, the Upshur pool and park, dog park, many schools, bus stops, and small businesses right in the area.